For use in the Affinity Touch Free dispensing system. 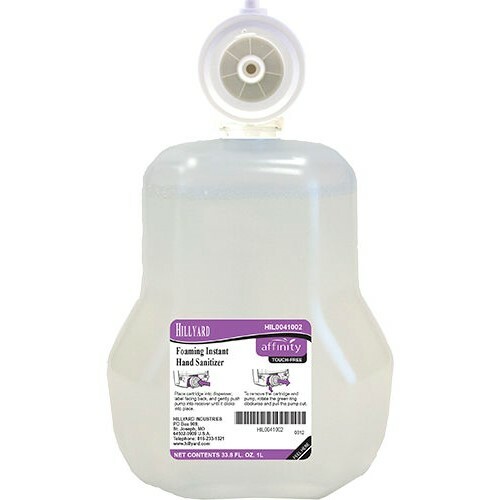 Hillyard Foaming Instant Hand Sanitizer is an alcohol-based hand sanitizer formulated to be used without water for maximum convenience. It is designed to help prevent the spread of infection and cross-contamination. Hillyard Foaming Instant Hand Sanitizer is formulated with aloe and conditioners to keep hands conditioned during repeated use.